Denied sees what you're playing in Spotify and Apple Music (iTunes) and automatically skips songs that you dislike. Tracks can be skipped by their artist, title, album, whether they contain explicit lyrics*, or if you’ve heard them before in the past few hours. 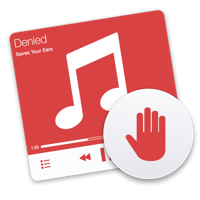 Denied allows you to truly enjoy Top 40 playlists, the Christmas season, Spotify Radio and iTunes Radio. 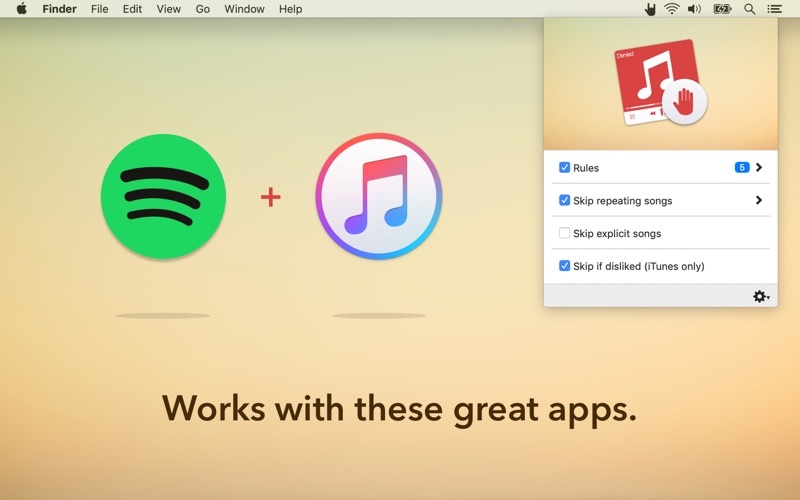 Works with the Spotify desktop app and iTunes. "That’s where Denied comes in. 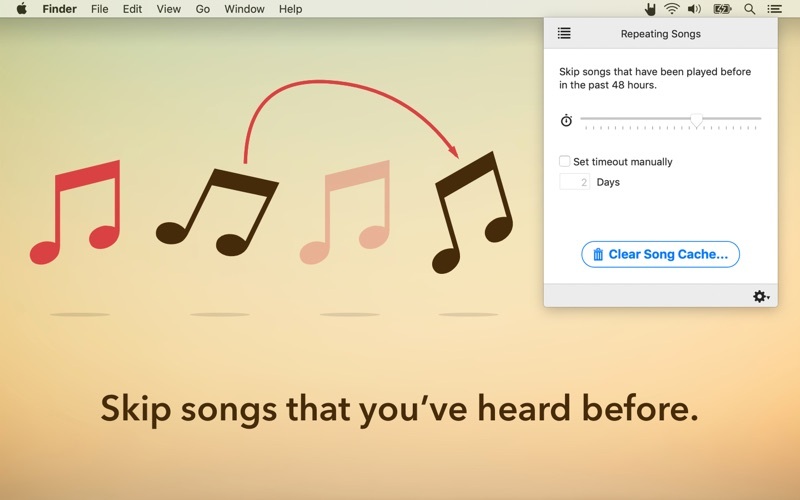 With a few clicks, you can banish your least-favorite songs or bands from earshot for good." "Spotify is awesome, but it has one problem. When you're listening to compilations or radio, you sometimes come across artists you hate. Denied fixes that by creating simple rules." "Fortunately you can now download a nifty little app to prevent unwanted artists sneaking into your speakers." 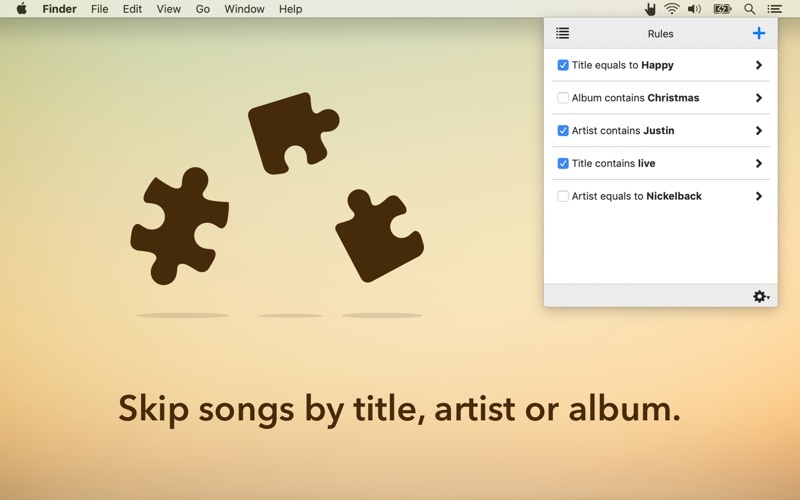 • Create rules to skip songs by their title, artist or album. • Specify match criteria: starts with, ends with, contains or equals to. • Skip songs that contain explicit lyrics. • Skip songs that you've heard before in the past few hours. 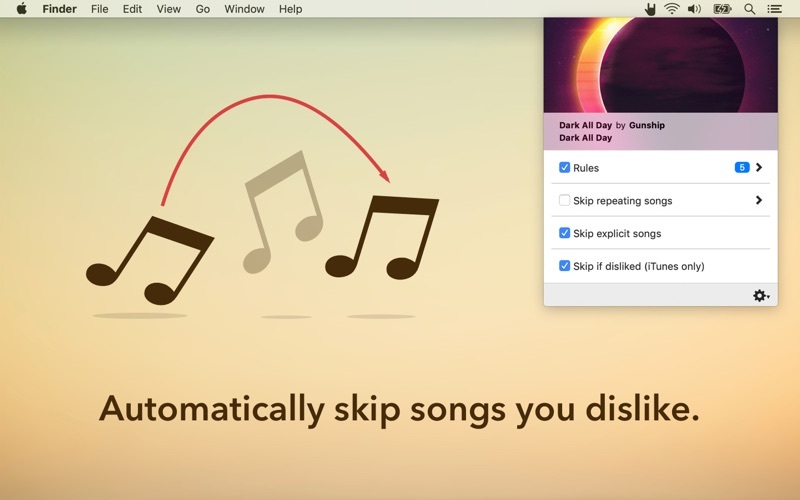 • Skip songs that you've marked as 'disliked' in iTunes (and thus Apple Music). • See which song is currently playing and..
• Add rules straight from the Now Playing information. • Optionally display notifications when a song is skipped. • Import and export rules, allowing you to download pre-made rule lists and share your own rules with your friends. 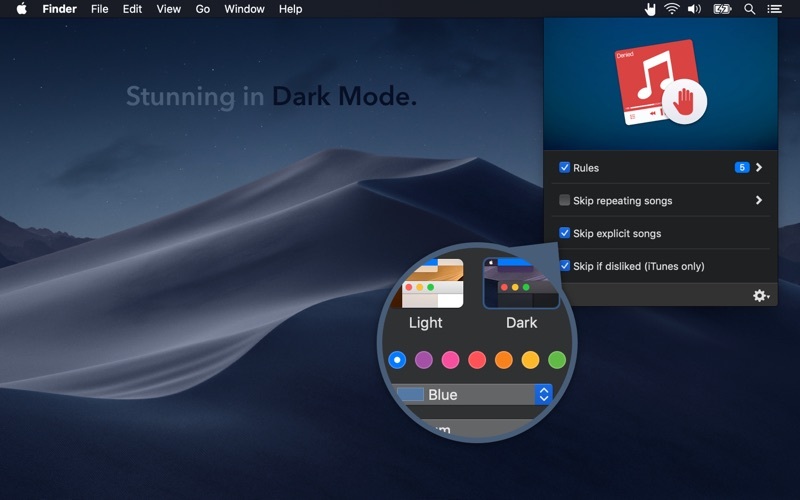 • Works with the Spotify desktop app and Apple Music (iTunes). • You'll need a distaste for certain bands, songs or albums, explicit lyrics or repeating songs. * Skipping explicit songs requires an internet connection. Obviously nobody in their right mind would skip a song by Gunship. That album art is just too awesome though.